Clean Up City of St. Augustine, Florida: WASHINGTON POST: CONGRESSMAN JOHN MICA WHINES ABOUT HOMELESSNESS IN UNION STATION IN WASHINGTON, D.C.
WASHINGTON POST: CONGRESSMAN JOHN MICA WHINES ABOUT HOMELESSNESS IN UNION STATION IN WASHINGTON, D.C. Buried in a congressional hearing about the hard time that Union Station security guards are giving tourists and others who dare to take photos while in the mall or station was a news nugget that may brighten your day: The Union Station 9, the movie theater complex in the station's basement food court, will soon shut down forever. Opened in 1988 as part of the renovation of the station, the Union Station 9's theaters are named after the classic old movie palaces that once dotted the District --the Roxy, Palace, Orpheum, Penn and so on. But there was nothing classic about the look or experience of the Union Station multiplex, which, because of its location at the crossroads between the affluent and impoverished parts of town, became a symbol of the very different moviegoing cultures in this country. Some patrons were appalled at how Union Station audiences cheered, jeered and otherwise made noise during the movie, while other patrons felt they were singled out for undue attention from security guards. The divide sometimes turned into a debate about race and class--not exactly what a movie theater operator is hoping for. But it wasn't that socio-political split that led to the decision to shut down the theaters. Rather, as David Ball, president of the Union Station Redevelopment Corporation, put it in his testimony on the Hill, "The movie theaters are basically losing money. They don't draw the crowds." Ball says the new owners of the retail complex intend to put other shops in the space currently occupied by the theaters. 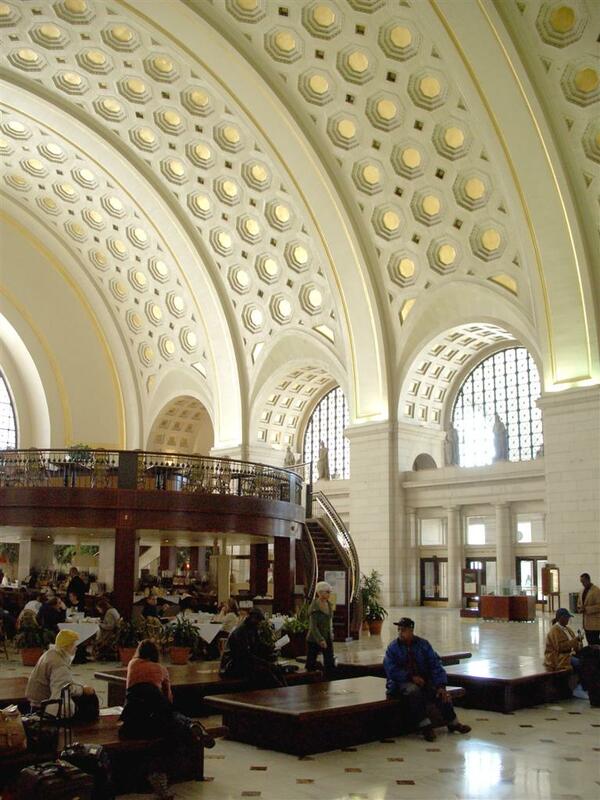 The new owner of the lease for the mall at Union Station is a New York property investment company, Ashkenazy Acquisitions, that has signed an 84-year lease and intends to try to reposition Union Station "to make it competitive in the market," Ball says. Ball, whose non-profit corporation was created by Congress to run the train station and retail complex through private contractors, says Union Station needs to be able to hold its own against Seventh Street downtown and the Friendship Heights retail cluster that straddles the D.C.-Maryland border in upper Northwest. Ashkenazy's counsel, Daniel Levy, told the hearing that new walkways and staircases will open up the below-ground food court to allow in more light. Rep. John Mica (R-Fla.) was glad to hear that, but skeptical: "Anybody here eaten in the food court lately? I go down there to have some lunch. I would say I got panhandled at least four times. I even offered to buy the guys lunch, but they just want cash. I'm telling you, I'm a member of Congress and they keep coming up to me. I haven't been back since." It's tough enough to run any retail establishment, but lord save you if your customers are members of Congress. I make it a habit to note and mourn the passing of all great old pre-greed movie houses, but I'm willing to bet a nice prize from the Vast Vat of Values that few of you will make a serious, passionate case for how the loss of the Union Station 9 is an occasion for civic grief. Anyone want to try? They Steal Elections, Don't They?